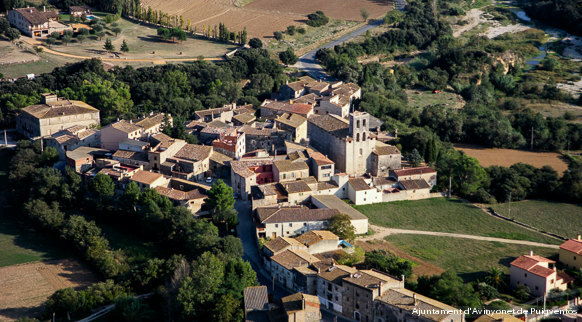 Alt Empordà has always been characterised as a frontier territory thanks to its location in the north of the Costa Brava, forming the border with France. As you explore the county you’ll find that above all else it’s a welcoming place to stay, be it for a short break or a long holiday. There are so many aspects that make it a worthwhile place to visit. You’ll discover a wide variety of protected landscapes: the Aiguamolls de l'Empordà Natural Park, the Cap de Creus Natural Park, the Albera Natural Area and the Bassegoda area. You’ll get the chance to sample the sea and mountain gastronomy, fish suquet (stew), goose with turnips, Empordà fritters, sweet botifarra (Catalan sausage) and anchovies from L'Escala, all accompanied by great Denomination of Origin Empordà wines. And you’re sure to be amazed by the legacy of an iconic artist from the area, namely Salvador Dalí, whose work is on display at the Dalí Theatre-Museum in Figueres and at the Salvador Dalí House-Museum in Portlligat.